April 10th through the 16th is National Library Week. National Library Week is a national observance which is sponsored by the American Library Association (ALA). It occurs in April and all types of libraries from across the country participate. In the 1950s, research began to show that Americans were spending less time reading and more time with television and radio. ALA and American Book Publishers formed a nonprofit organization called the National Book Committee. In 1957, they developed a plan for National Library Week and the first was observed in 1958 with the theme “Wake Up and Read!” National Library Week was observed again in 1959 and it was then decided to make it a yearly event. ALA took over full sponsorship in 1974 when the National Book Committee disbanded. 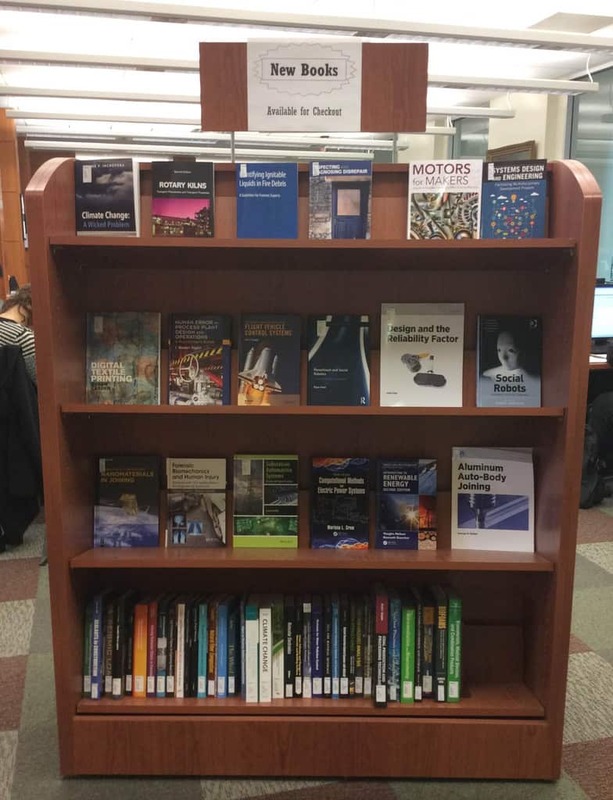 So, what do we, your Engineering Library, provide for you? We have all types of resources that can ‘transform’ your studies. We have books, journals, e-resources, DVDs, Tool Library, subject guides, handbooks, and more – all accessible from our webpage. We are constantly getting new resources, too. We have a New Book Shelf where you can browse a selection of our newest acquisitions. Another way to find out what is new in the library is to check our Pinterest page! We also have two group study pods (one with MediaScape), two scanners, 35 ITS computers, comfy chairs, study carrels, bean bag and gamer chairs, and our lower level is a designated quiet space. We are always looking at ways to improve our space and help you find the resources you need. We are also connected to your favorite social media! Besides Pinterest, follow us on Twitter and Facebook. National Library Workers Day is recognized on April 12th this year. Take a moment to thank a library employee! Happy Library Week – we look forward to seeing you! Celebrate National Library Week. 2016. American Library Association. National Library Week Fact Sheet: ALA Online Message Book. 2016. ALA American Library Association.